Canadians can thank, for one, Tommy Douglas for pioneering the publicly-funded health care system we enjoy today. While it is easy to take for granted, particularly having been born here, you need do nothing more than talk to new Canadians to realize what a privilege it is. The system isn’t perfect, but having publicly-funded health care does much more than just heal us when we are sick. It provides critical peace of mind. 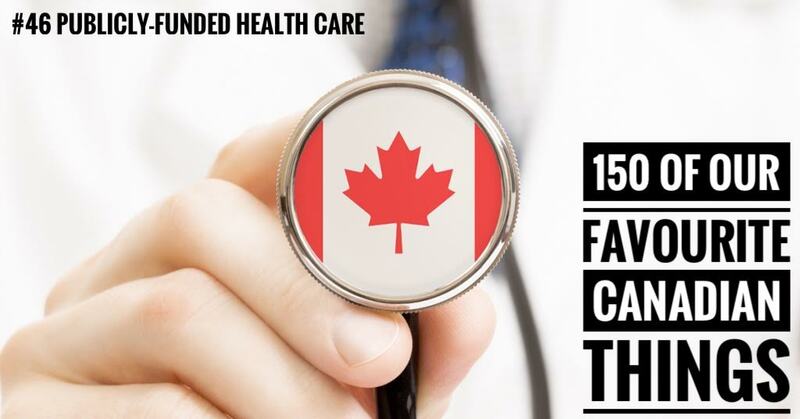 Canadians know that, should we encounter illness or injury, a system is there to catch us. Not only do we know we will have quality care, but we know we will not have to make difficult choices to get it. We will not have to choose between our health and something else, like amenities for our families, or, in the worst case, food or shelter. This provides financial security, but also physiological protection from the fear that comes from the prospect of having to make those decisions. Yes, we pay higher taxes to support the system, and for many years, thankfully, most will not have to access the system for much more than check-ups and minors health issues; but it is utterly Canadian to support a system that supports others in their time of need, as it will support us when and if we need it. I fear the day when politics in Canada become focused so much on the individual that the foundations of our health care system are questioned. We need not look far to see the individualized, self-centred approach to politics infecting other countries, and I truly hope the Canadian way remains as it is.